The chance viewing of an advertisement on television was the catalyst for Darren Lomman’s (BEng 2007) latest mission. 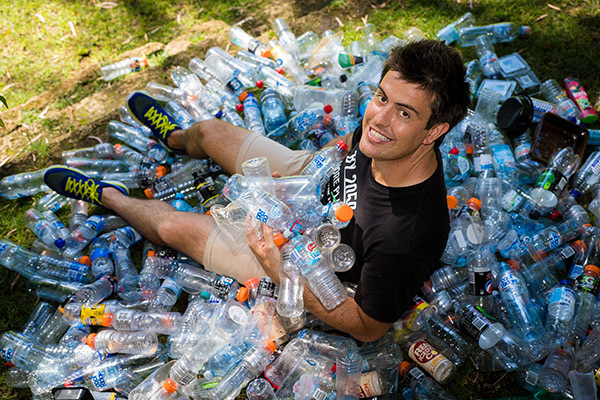 The Perth-based entrepreneur and engineer started the GreenBatch Foundation, through which he is building WA’s first-ever plastic reprocessing facility, after the TV spot warned there would be more plastic than fish in our oceans by 2050. “I was horrified when I saw that ad,” he says. “I actually thought it might be fake news but I did some investigating and discovered that because there is currently no reprocessing happening in WA, our plastic is sold on to the international waste markets." Only one to two per cent is actually reprocessed into new products. The rest ends up in landfills, oceans or waste incinerators. Darren is the brains behind Dreamfit, a company born out of a meeting with a paralysed motorcyclist when he was a third-year engineering student. Agreeing to modify his bike, Darren was soon creating a range of equipment for people with disabilities. After selling the company, however, he was looking for a new challenge, and here was one that was not only close to his heart but that also played to another of his interests: the booming 3D-printing market. 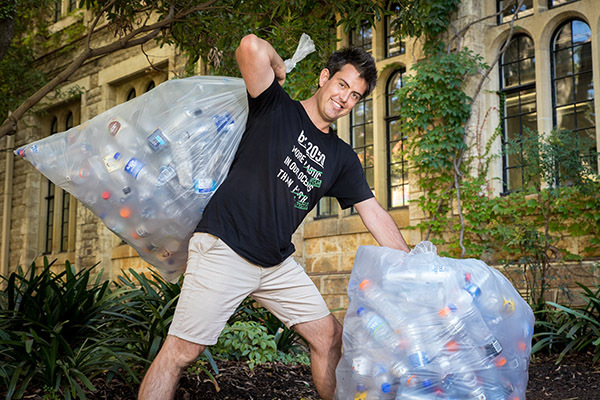 His goal is to establish a reprocessing plant that will handle polyethylene terephthalate (PET), the kind of plastic used in bottles for water and soft drinks. The plant will turn PET into the filament that goes into 3D printers, which can then be used to make objects as diverse as toys, tools and even prosthetic limbs. “My idea is to partner with schools and we’re already trialling this with a few primary schools in the local area,” he says. Students collect bottles and drop them into collection bins. We pick the bins up and turn the plastic into filament, which we’ll give back to the schools for their 3D printers. It is a win-win. The scheme has been enthusiastically received, with Darren raising an astonishing $75,000 through crowd-funding (“I was so surprised, absolutely amazed because I thought rubbish was pretty unsexy”). At the time of writing this story, an agreement was being struck with UWA for potential funding and a site for the plant. Darren, who works out of the UWA Business School, says he’s also been overwhelmed with physical support from student volunteers and interns. Passionate about recycling, they are assisting both with getting the plant off the ground and all the peripheral tasks such as building a website, marketing and liaising with schools.